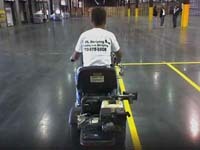 PL Striping Inc. is a full service parking lot maintenance company serving the Atlanta metro area since 1995. With no job too big or small, you can trust us to deliver superior performance at an affordable price. We are fully insured, use the most current equipment in the industry and maintain a high standard of safety. 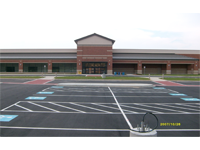 Warehouse Striping has become our specialty. Working with some of the largest warehousing and logistics customers in North America, we offer our expertise in staging lines, sanitation lines, OSHA requirements, etc. We can provide different products, applications, and systems to match your requirements and budget. Stencils – Letters and numbers – many sizes and styles. We value your business, and look forward to working with you on your next project.